Whether you're about to get your first smartphone, are planning to switch from Android, or are just looking forward to an upgrade from your current model, you probably have your eye on the newest iPhone. Whatever your situation, you of course want to make the smart choice and buy the latest and greatest version. So the question is: When does the new iPhone come out? Figuring out when the new iPhone comes out isn't an exact science — at least not until Apple makes an announcement of a release date. But, based on history, you can make an educated guess. Most likely, new iPhone models will come out in September every year (with a few possible exceptions, as we'll see). As you can see, the first four iPhones were released in June or July. That changed with the release of the iPhone 4S. This change seems to be due to the new iPad models often being released in March or April and Apple not wanting to release its flagship products so close together (though in recent years iPad release cycles have become less predictable). Want to know what Apple has in store for future iPhone models? Check out our collection of the latest iPhone rumors. The fall release schedule for new iPhones held true for 5 years, but the March 31, 2016, release of the iPhone SE threw that pattern into doubt. It will likely be a while before Apple releases a successor to the SE, so it will take some time to find out whether we should always expect a new iPhone in March or if the SE and its replacements will join the fall upgrade cycle as well. For now, be aware that there could be a second iPhone release added to the calendar each year, giving you an option to get a new model in both March and September. But until a second SE model is released and establishes a pattern, don't make any definite plans for an iPhone in the spring. The iPhone X presents its own exception, given its November release date. It's a good bet that that date won't last, though. Rumor had it that Apple had to push the release of the X to November due to difficulty in manufacturing some of the new components in the phone. As those components become easier to manufacture, we bet future versions of the X will debut in September, too. Plus, while the iPhone X didn't actually hit the streets until November, it was announced in September at the same time as the iPhone 8 series. 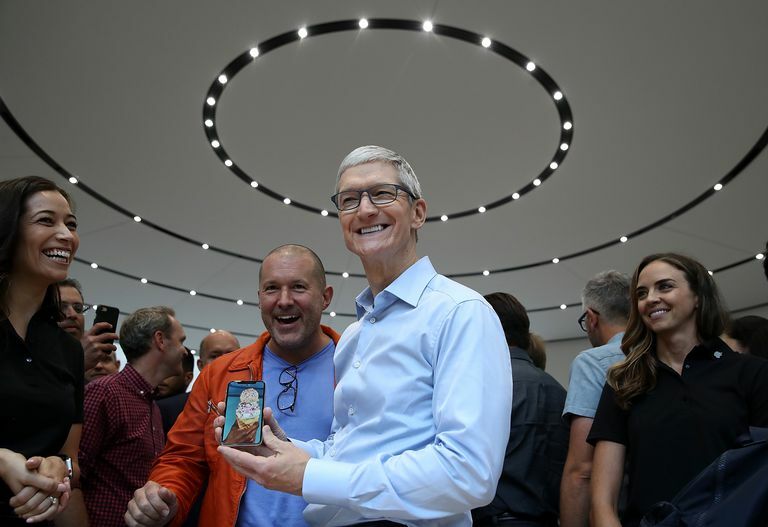 Throwing a slight wrench into the new-iPhone-every-September rule is also the iPhone XR, with its October release date. Still, that model was announced in September, at the same time as the iPhone XS and XS Max, so people were at least aware of that model, and could wait to buy it if they wanted, starting in September. The other important question is whether you should wait for the release of a new iPhone model before you upgrade. If you're considering upgrading anytime in the first half of a year, I recommend waiting until September (at least until we know more about whether the iPhone SE is going to be released every March or moved to the fall with the other models). Since we can say with some confidence that the new iPhone models will come out every September, it makes sense to wait until at least mid-September if you're planning to upgrade. After all, why buy a phone that won't be the latest and greatest in just a couple months (or weeks!) if you could get the newest thing by waiting? Your decision will be driven by whether your current phone can last that long — probably not, if it's broken or malfunctioning, for instance — but if you can wait until fall, do so. And then you can enjoy the new iPhone. What Happens to Older Models? While everyone likes to get the latest and greatest, it's worth paying attention to what happens to older models when Apple releases new ones. In most cases, last year's top-of-the-line model sticks around at a lower price. For example, when Apple introduced the iPhone 7 series, it discontinued the 6 series, but still offered the 6S and SE, with the price of the 6S being cut by $100 per model. So, if you're ready to upgrade but are also looking for a deal, it can be a good idea to wait until Apple releases a new model and then snap up last year's best model for a lower price.